Coinciding with the appointment of Angus Blundell as marketing director earlier this month, Certas Energy has unveiled a redesigned, transactional version of its website. 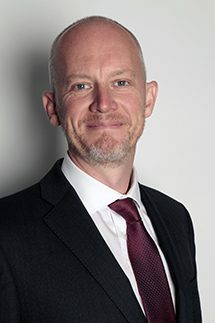 The launch of the new website – www.certasenergy.co.uk – which will allow customers to purchase its products online for the first time, coincides with the appointment of Angus Blundell as marketing director. Angus joins Certas Energy from Sun Chemical, where he held the position of marketing director EMEA. Based in Warrington, Angus will be responsible for delivering customer focussed marketing strategies across commercial and domestic markets in the UK. Angus started his new role on September 1st. The website features a cleaner and more responsive design with streamlined functionality, as well as the new transactional feature. The new functionality will help to serve the rising number of domestic and commercial customers to whom Certas Energy provides fuels and lubricants every day. With 150 depots, over 1,000 tankers and 2,500 personnel, Certas Energy delivers over 6 billion litres of oil every year. “The launch of our new website is very exciting for Certas Energy and our customers,” said Angus Blundell.